In 2016, we wanted to let sneakerheads know that Nike.com was the freshest place to get exclusive drops. So we created these little films, made out of stock footage, announcing a mysterious shoe box dropping to earth. With tight budgets, we knew we wouldn't have enough to shoot live action. So we decided to try using stock footage instead. It was a risk that paid off, I think. There's a madness to the films I really like. Each film tells the story of a sneaker box falling to earth -- and the aftermath -- using Getty, iStockphoto and Pond5 footage, plus a hell of a lot of post. When the SNKR box drops, even the animals get excited. I think this one is my favorite. I hope one day to have a "money power sneakers" sign above my desk. 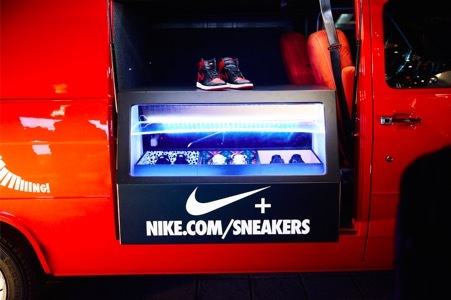 Also known as the Unidentified Flying Sneakerbox. Sort of a sly dig at sneakerhead culture, which these days is more like a cult than most actual cults. 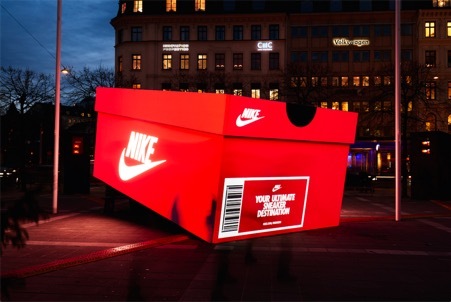 After the films announced the sneakerbox falling to earth, we made a real one "crash" into a popular square in Stockholm. Sneakerheads would connect their mobiles to the box's wifi, then access a secret page on Nike.com that let them get an exclusive sneaker drop. As soon as they ordered, a custom SNKRS van would pull up with their package. World's fastest internet delivery system. We sold out in minutes.